I recently found myself in a very similar situation to many candidates I have worked with in the past, finding a new job. As recruiters and sourcers, we can quickly become accustomed to the rollercoaster ride of the employment market. Jobs can come, and jobs will disappear. Whether it’s from layoffs, contracts ending, or a change of scenery, we all will eventually become candidates. One of the most valuable lessons that I’ve learned in my recent search is that timing is everything. My contract with my last company ended in the middle of December when most companies are rushing to fill requisitions before the holiday break begins. It was not an ideal time to search for a new position. Hiring managers, recruiters and HR teams were enjoying their last couple of weeks of vacation. Budgets were slow to become finalized, and the hunt for my next opportunity seemed to drag as the days began to get colder. With this lag in my transition, I turned my attention to the various places on the web to apply for a new job. I applied to approximately 50 different companies. Of the 50, I applied for 15 jobs on LinkedIn. Hundreds of candidates apply for jobs through LinkedIn. It felt like a black hole and seemed easy to get lost in the shuffle. Despite my experience on LinkedIn, it was enough to get me in front of the right people. I turned my attention to Indeed, and I applied for around 20 jobs on that site. The momentum appeared to increase with the jobs I applied for on Indeed. I had more traction and received more interviews with the companies I applied for on Indeed rather than LinkedIn. I also turned my attention to Zip Recruiter and had a decent amount of interviews with it as well. One of the most valuable assets of any sourcer or recruiter is its network and the community. Using your connections and the community for help, worked wonders in my search. I had the most success from simply asking for leads from good friends like Steve Levy and Derek Zeller. Their connections and referrals helped launch me further into the interview process, and I was able to solicit a few offers from huge companies like Zulilys, BAE Systems, Docker, Wayfair and more. Using your connections to help in your search can go a long way. It helps maintain the human side and human touch in our industry. It pays off having a network and a community of support. 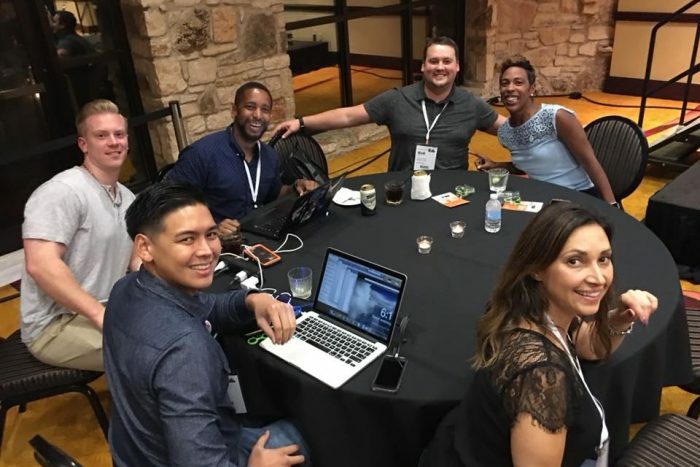 It’s important to stay involved in the community; through a blog post, social post, networking events, conferences like SourceCon or even just by staying in touch with the people in your network. Perhaps the most important thing I learned was how to get your ducks in a row before you start. This simple checklist or process worked well for me. One note of caution, don’t get frustrated by your tenure over your skillset. I interviewed with a company, which asked a lot of questions around with work history. This company never asked me any sourcing related questions or any questions to gauge my skill as a sourcer. I thought it was strange and unfortunately an offer was not extended. Well long story short, I was able to connect with the hiring manager later and asked him why I wasn’t asked about my ability to source. After some persuasion, he asked me a few sourcing related questions, which I answered correctly. As it turned out, the person who initially accepted the job ended up not working out, and the manager called me to see if I was available. I said no, and he admitted he screwed up and should have focused more on skill level and less on my years of experience. For me, this was validation as the position I got was based on skill level and not years of experience. This helped me realize that we need to change the status quo and help hiring managers consider a candidates skill set over their tenure in the industry. I learned a lot from this job search. It was a learning experience that will set me up for future success, and a journey I am glad I took.